All players ranked outside of the top 64 on the two-year ranking list, who have joined the tour for 2014/15 on the first year of a two-year tour card. 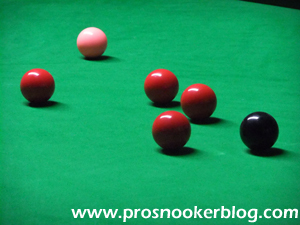 The top four players ranked on the Asian Order of Merit, not already qualified as above. Though it remains impossible to say with certainty what the final amount of money required to stay inside the top 64 will be, last season we saw Jimmy White take the 64th and final spot with prize money of £48,692 across the previous two seasons. With the general increases in prize money this season, I would estimate that the required amount this season will be between £50,000-£60,000, but time will tell. In the circumstances, while players above could still fall back into the danger zone with a bad run over the coming months, for the purposes of this article I am going to look at this those currently 55th and below in the latest provisional end of season list. 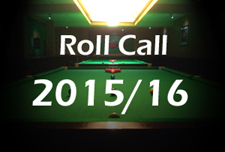 I have colour coded the competitions below to show at a glance how each player is currently positioned in each list. 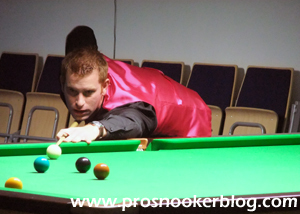 Summary: Having made such a strong return to the tour at the start of the 2013/14 season, Gary Wilson has struggled to maintain that level of form during this season, earning just £7,199 to date. Although he retains a gap of nearly £9,000 to 65th placed Jimmy White and in all likelihood should be able to retain his place inside the top 64 at the end of the season, no doubt that he would like another win or two to make absolutely sure. If he were to slip out, then he could be able to claim a tour place through the European Order of Merit, but would need at least a couple of wins in Gdynia to do so. Summary: Having earned just £1 more than Wilson so far this season, Peter Lines finds himself in a similar position, with enough players between him and the top 64 cut-off to mean that he should be safe, but not an absolute certainty at this stage. 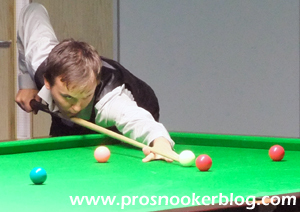 Also like Wilson, he would not be able to claim a tour place via the Asian Order of Merit, but with a good run in Gdynia later this month could give himself another means of qualification. Summary: A player accustomed to a far higher ranking than being in and around the top 64, Tom Ford is also not yet sure of a top 64 place at the end of the season, although did his prospects no harm with a run to the semi-finals of the recent Asian Tour 3 event. As a result, in the unlikely event that Tom were to drop out of the top 64, he would be guaranteed a tour place via the Asian Order of Merit, having finished 13th on that particular list. Summary: Unlike the three above him, China’s Li Hang has enjoyed an excellent season so far and finds himself up in 58th on the latest provisional end of season list, as he looks to break into the top 64 of the rankings for the first time in his career. Like Ford, Li would be assured of another two years on the tour courtesy of his standing on the final Asian Order of Merit, but of course will be targeting a place inside the top 64, in order that he will not have to see his points total reset to zero at the start of next season. 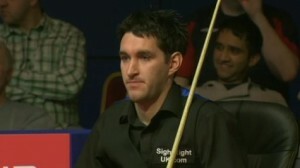 Summary: Having experienced a tough start to the season, Alfie Burden has seen a noticeable upturn in fortunes of late, strong runs in China and Germany putting him into a far stronger position to retain his top 64 place at the end of the campaign than it had appeared when I last looked at this race back in November. Again, if he were to drop out of the top 64, Alfie would take one of the four available spaces on the Asian Order of Merit, but would prefer to do so by remaining inside the top 64. Summary: A couple of years ago Cao Yupeng looked to be one of China’s most dangerous players on tour, but has of late struggled to make an impact, currently sitting 72nd in terms of points earned so far this season and not having earned prize money at a full ranking event since the Shanghai Masters. 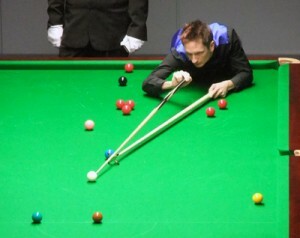 That will have to change if he is to remain inside the top 64 by the end of the season, but if not he could also claim a place via the Asian Order of Merit, as he would be tied equal with Cao Xinlong for the final spot, but on countback would take the place on the basis of his stronger result than Xinlong at AT2. Summary: Thepchaiya Un-Nooh finds himself in the enviable position of being safe through all three lists as it currently stands, but of course hoping to remain up inside the world’s top 64 at the end of the season. 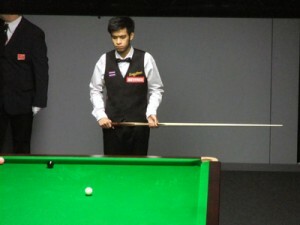 While far from certain of doing so, the Thai player does remain well placed and if not, would be certain to earn a two-year card through the Asian Order of Merit. 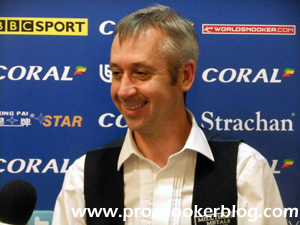 Summary: Back in November when I last looked at this battle, the situation did not look to be too promising for veteran Nigel Bond, but the £9,000 earned by him at the UK Championship following his dramatic 6-5 win against Barry Hawkins, from 5-0 down, has thrust him back into position to retain a top 64 place at the end of the campaign. Summary: Like Tom Ford, a name that we are not used to seeing this far down the rankings, Jamie Cope needs to enjoy a strong finish to the season if he is to make sure of retaining his long held top 64 position. Thanks to his results during the season’s five European Tour events so far, Jamie does stand well placed on the European Order of Merit however, with just one or two wins in Gdynia likely to be enough to see him safe. Summary: The Belgian Bullet might have flown somewhat under the radar so far this season, but thanks to his excellent results at European Tour events, remains in with a chance of retaining a top 64 place, currently occupying the final spot on the latest provisional end of season list. Again, Luca will be targeting a top 64 place in order that his points total is not reset to zero at the end of this seazon, but if he were to drop out, would be assured of a new two-year card from next season via the European list. 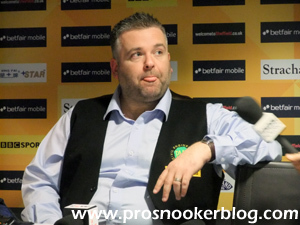 Summary: With a little over a thousand pounds to make up on Brecel between now and the end of the season, Jimmy White needs a strong finish to the campaign if he is to claim a top 64 place and avoid the danger of losing his tour place at the end of the season. Having unfortunately not been able to have played at the Asian Tour 3 event, Jimmy’s other route is potentially the European Order of Merit where he currently stands high enough to earn a fresh two-year card if he were to drop out of the top 64, but could probably do with a win or two in Gdynia to make absolutely certain of his place. 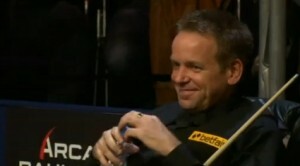 Summary: Following opening round defeats at each of the last two full-ranking events, Joe Swail has dropped outside of the provisional top 64, but thanks to his strong performances on the European Tour so far this season, the Northern Irishman looks to be sure of a tour card for next season one way or the other. Again, a top 64 position would be preferred, but we will be seeing the two-time World Championship semi-finalist on tour next season. Summary: Like Swail, Thailand’s Noppon Saengkham has lost his last couple of matches at full-ranking events, but crucially enjoyed a strong run to the quarter-finals of the Lisbon Open just before Christmas, to vault up the European Order of Merit and put himself in position to take one of the eight places available via that list. Although he could theoretically be displaced on that list at the ET6 event in Gdynia, I would be very surprised if such a scenario were to unfold. Summary: For Stuart Carrington, the final event of the European Tour in Gdynia later this month is going to be a big one, as he currently occupies the eighth and final tour card available via that list. While he does remain within touching distance of the top 64 on the main two-year list and will be targeting a strong finish to the season, a strong run in Poland would go a long way to taking some of the pressure off his shoulders. Summary: Despite a crucial opening round victory at the UK Championship, keeping him within range of the top 64 mark, the tour status of Scotland’s Marcus Campbell remains in some peril, as he looks to be out of contention of claiming a place on both the European and Asian Orders of Merit. Barring an excellent run in Gdynia therefore, the veteran Scot needs to make up nearly £6,000 on those above him by the end of the season, if he is to avoid becoming a shock tour relegation at the end of the season. 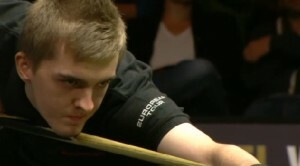 Summary: Finland’s Robin Hull is a player who unfortunately is not able to play in every event, but when he does is usually able to win a number of matches, notably at the World Championship and Wuxi Classic last season. 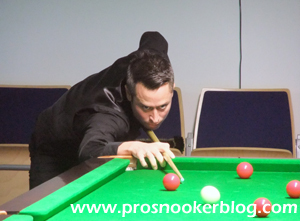 Like Campbell, Robin will need a strong run in Gdynia if that list is to come into contention, failing which he will probably need to repeat his run to the Crucible last season if he is to stand a chance of retaining his professional status. 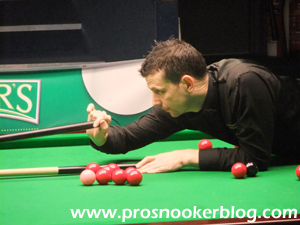 Summary: For Dave Harold it increasingly looks certain to be his final season as a professional, a status that he has held since 1991, as he has so far been able to earn just £583 during this season. Again, a strong run in Gdynia where he is due to play Mark King first up could be enough to give him a shock reprieve, but otherwise he would need to enjoy a spectacular finish to the season if he is to regain a top 64 place. 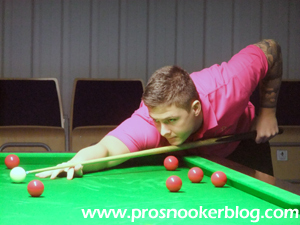 Summary: 22-year-old Chris Wakelin has impressed many since he first earned a tour place back in 2013 and looks to be certain of earning a fresh two-year tour card for 2015/16 and 2016/17 courtesy of his excellent results at this season’s European Tour events. A top 64 position looks to be a little too much to ask of him at this stage, but a fresh start next season with two years of experience under his belt is far from the worst position to be in. Summary: Chinese youngster Lyu Haotian was always going to be up against it, having first earned a tour card at just 15 years of age and barring a strong run in Poland later this month, looks set to be relegated from the tour in May. Summary: Scotland’s Fraser Patrick struggled to make an impact on the tour during the 2013/14 season, but this season has performed impressively, particularly at European Tour events to make sure that he will be back on the circuit next season with a new two-year professional card. 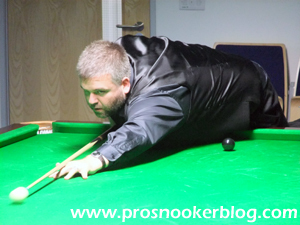 Like Wakelin, the top 64 looks to be a step too far however, with him required to more than double his current prize money total between now and May if he is to shoot up the ranking list. 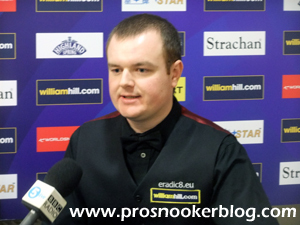 Summary: Like Stuart Carrington above, for James Cahill the upcoming Gdynia Open will be a significant event as he looks to secure the points total that he needs on the European Order of Merit to make sure of a tour place for next season. 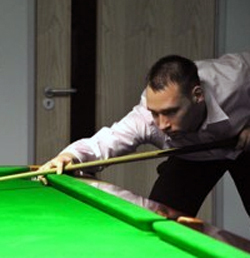 James begins his quest in Gdynia with a match against another man in this list, Leicester’s Tom Ford. Summary: For Alex Davies, it looks as though he will need at least a last 16 run in Poland if he is to claim a fresh tour card via the European Order of Merit, in all likelihood a quarter-final run. Summary: John requires at least a quarter-final run in Gdynia if he is to earn a fresh two-year card. Summary: As with Alex Davies, Andrew will most likely require a last eight run in Gdynia to earn a fresh two-year tour card..
Summary: As with John Astley, Vinnie requires at least a quarter-final run in Gdynia to stand any chance of earning a fresh two-year tour card. 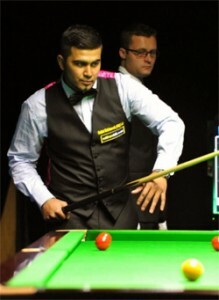 Summary: As above, Hammad requires at least a quarter-final run at the Gdynia Open. Summary: For Ross Muir, the Asian Tour has this season proved to be a real bonus, as the £2,200 he has earned so far has left him top of the list of players in line to earn a fresh two-year tour card via the Asian Order of Merit. Again, Ross is unlikely to threaten the top 64 on the main two-year list between now and the end of the season, but he will nevertheless remain on tour next season. Summary: Just £334 off a top eight qualifying place on the European Order of Merit, Elliot Slessor is another player who will be targeting at least a run to the final day in Gdynia, with the added bonus of having received a first round draw which will see him up against an amateur qualifier. 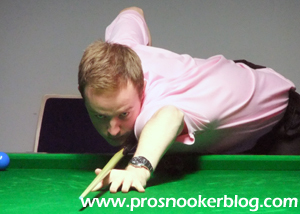 Summary: Having not entered the Gdynia Open, Andrew Norman now looks set to be relegated from the tour at the end of the season. Summary: As with a few players above, Lee is likely to need a run to the last eight in Gdynia if he is to survive on tour via the European Order of Merit. Summary: Like Norman and Borg previously, Ratchayothin Yotharuck has not entered Gdynia and therefore looks set to be relegated at the end of the season. Summary: China’s Cao Xinlong currently holds on to the fourth and final tour spot open to the Asian Order of Merit following the Xuzhou Open. 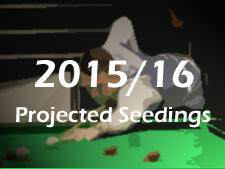 Although there are no more Asian Tour events scheduled for this season however, the position could yet change, depending on whether any other players on that list are to drop out of the top 64 on the main two year list between now and the end of the season, such as Alfie Burden or Thepchaiya Un-Nooh. 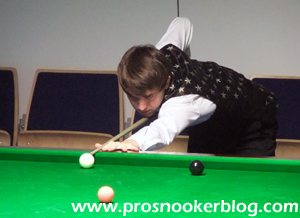 Summary: Another player who will be hoping to win as many matches as possible in Poland later this month, with an opening round match with Zak Surety in prospect. Summary: As above, although with an opening round match against defending champion Shaun Murphy in prospect, Jak will need to be at the top of his game in Gdynia from the very start. Summary: Needs to reach at least the last eight in Gdynia. Summary: Set to be relegated from the tour, has not entered Gdynia.